Fiona, if Gina Rinehart must be seen as "entitled", then so must you! You start with a blank page and an idea, then create wealth by drawing cartoons and - after that wealth is taxed - have a disposable income, and good for you. Gina also started with a blank page - an insolvent mining company, and like you, has created wealth through her labour, ideas and willingnes to take risks, so that now she too has a disposable income after tax. 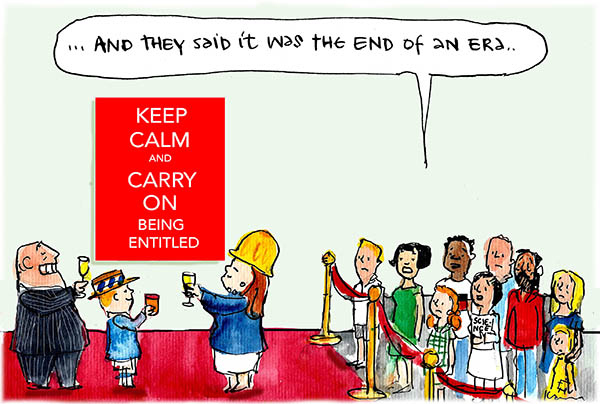 You're entitled to the fruits of your labour, as is Gina Rinehart.